The holiday season is not far away. We have reached that time of the year when friends and family exchange gifts. If you have not yet shopped for gifts for your near and dear ones don’t panic as we have a bag full of suggestions for you. Christmas is the time when you will want to give away nothing less than the best to your friends and family. There are many gifting options that are available and there sure is no dearth for things that you can give away. However, if you wish to gift something that has high utility you can give away a phone, or a tablet. These are gadgets we use every day and in the technological era, our dependency on such gadgets is alarmingly high. Talking about phones and tablets, Apple is regarded as one of the best companies who manufactures and sells them all. So, if you wish to give one of the best this Christmas you can consider giving the iPhone 5 and the iPad mini. We’ll tell you why. A closer look at what makes the iPhone 5 and iPad Mini the perfect gifting options has been taken. When the iPhone 5 was launched and was up for grabs it was nick-named the wonder gadget. 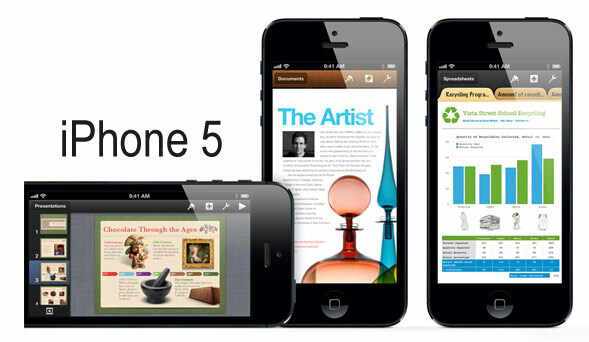 It outsmarts its competitors’ hands-down and yes, the features and benefits you get with your iPhone 5 are simply superb. The iPhone 5’s record sales is proof enough of how good a gadget it truly is. This makes the iPhone 5 a perfect Apple gift to give away this holiday season. What’s nice about iPhone 5? In a nut shell, everything is more than just nice about the iPhone 5. Its design to size to hardware and software leaves you with no room to complain. This is an amazingly light device around 20 percent lighter than the other iPhone models. It stands taller than its predecessors. This makes the iPhone 5 one of the perfect devices to play games on. This is a good move by corporate giant Apple to increase the screen size of the phone. You can opt for a ceramic white or anodized black iPhone 5. This phone looks classic in both hues. If you are planning to gift this phone to someone who tends to drop their phone too often, do not worry. Good news is that the iPhone 5 has been designed keeping such people in mind. This phone has been made to withstand smashes as its exterior has gotten tougher. If any of your family members or a friend needs a new phone, gift them the iPhone 5 this Christmas. 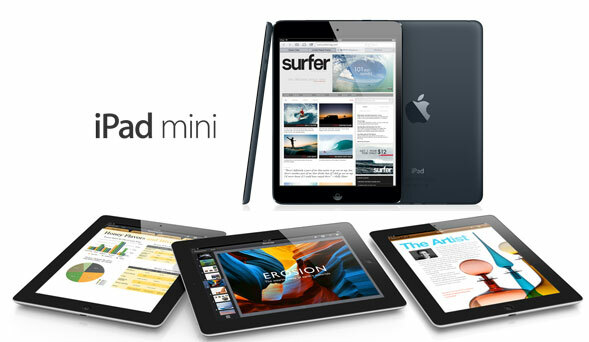 Yet another Apple device that caught our attention is the iPad Mini. This is one of the most ambitious projects developed and launched by the company. When iPad Mini was launched, it gave tablet manufacturers a tough run for their money. The iPad Mini boasts of a screen size larger than most of its rivals. Its screen measures around 7.9 inches. It is designed to look like a classy device and it shares coloring with the iPhone. For a tablet it weighs just right. The iPad Mini weighs double of what the iPhone 5 weighs. However, the screen resolution deserves special mention. iPad Mini’s screen provides amazing views from almost any viewing angle and its screen is highly responsive to touch. There is more space between icons on the screen, giving users a superior experience while navigating on this tablet in the portrait or landscape mode. One more reason why you can gift the iPad Mini to your near and dear ones is because it runs on the latest iOS 6. This new OS makes it possible for users to control apps right from the home screen. The Lock screen of iPad Mini has been improved upon as well. This tablet is powered by the A5 chip and comes loaded with a 512 GB RAM. This is good enough to gratify the needs of an average tablet user. You can consider getting the 3G or Wi-Fi iPad Mini. You can shop for more Apple products at the online Apple Store. Visit Apple store to explore more Apple gifts that you can give away this Christmas. If I would get a chance to get something from any one as a gift then ipad will be the first choice of mine.